StoryWorld’s programming covers everything from crafting a believable and engaging story to working effectively with producers and partners and increasing the value of your intellectual property. You’ll get to sit in on conversations between transmedia pioneers tackling the big questions: How do we maintain story integrity when the audience helps direct the action? How can we bring “play” back into our lives? And what’s next for transmedia storytelling? Stay tuned for more details coming soon! How can we strike the right authorial balance between experience creators and participants? How can we give participants a greater role in their experience without compromising quality? What happens when the participants do something unexpected? And how do we as experience designers allow the users to participate and still deliver a good experience? Join a panel of veteran experience creators for a discussion about striking the right balance when it comes to content creation. How do we activate the player? Most experiences are a balance of game mechanics and story. In this conversation with traditional game directors, writers and interactive fiction authors, we’ll discuss how to support and balance game mechanics and story to create a successful experience. 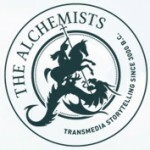 StoryWorld is underpinned and supported by a global community of Transmedia MeetUp groups and this year Transmedia LA is the Official StoryWorld 2012 MeetUp host. In this informal lunchtime session, Transmedia LA will take a chance to introduce themselves, along with some key innovators from other global MeetUp groups, for some explanations and insights as to their collective inspiration and passion for transmedia storytelling and the value of the MeetUp groups. We all play in some form or another. This panel will discuss the patterns of how we play by delving into the psychology of why we play. You’ll find out the psychological motivations and benefits of play, what makes players of different media tick (for example, video game versus LARP players), and how you can use this understanding for better story and experience design. How do we design for a family audience? Join this discussion to discover the design challenges, approaches and lessons we can apply to help bring immersive experiences to fans of all ages. Ubisoft are world-renowned for games with a strong story at their center – Assassin’s Creed, Far Cry 3. Head of Ubiworkshop and Brand Creative Director, Louis-Pierre Pharand will keynote at StoryWorld to expose Ubiworkshop’s philosophy of Transmedia and Brand development, focussing on the Assassin’s Creed franchise to display the richness of its universe and the importance of that robust, underlying narrative strategy. Louis-Pierre will also reveal the launch of a new game and brand, using an entirely different approach whilst still respecting the core values of transmedia. Traditional media has acknowledged that it is difficult to take personalized storytelling global and deliver individualized content in simple forms, on highly populated platforms. Join unique storyteller and director Jason Zada as he explains why and how he managed to create a personalized experience that tapped into pop culture and transcended to heads of studios who remaked that this is the future. Take This Lollipop placed individuals at the core of the story, whilst also raising questions over privacy and trust on social media sites. Highly successful story worlds aren't born overnight. They require considered authorship, strategic planning and effective and intelligent use of social media. At last year’s event, Starlight Runner Entertainment CEO Jeff Gomez wowed the audience with his insights into worldbuilding and mythology. This year, he’ll identify key steps you need to take from concept through development to set the stage for blockbuster entertainment that fans return to again and again. You’ll hear about effective—and not-so-effective—approaches used for such rollouts as Hunger Games, Mass Effect 3, The Avengers, Prometheus, The Cabin in the Woods and more. Rhonda Lowry, Vice President, Emerging Social Web Technologies, Turner Broadcasting System, Inc. Networks are increasingly developing additional digital content around TV shows, especially ‘anchor’ properties. This session lifts the lid on the ins and outs of developing digital content, how the challenges are affecting internal business processes and how the show runners often influence, shape and/or guide this virtual content. These panelists will discuss their concerns over the trap of linear storytelling, will examine the state of story extensions today and give some idea as to where they think its headed. True convergence of media for commercial properties relies on collaboration and co-production, but bringing together these diverse business models, with their varying timelines, procedures, legal restrictions and measurements of success can be daunting, to say the least. This session takes a look at how TV, publishing and social networks approach co-productions with a view to keeping pace and focus—and the challenges and benefits to orchestrating a multiplatform symphony. How do you build audience “touch points” into your narrative, providing natural opportunities for fans to interact without interrupting the flow of the story with awkward hotspots? Meet a panel of narrative design experts who have discovered the secrets to creating subtle, relevant triggers for audience involvement. Brands are rapidly investing their time and resources to build rich, cross-platform storyworlds that grow their audience, activate fans, and produce sustainable results on their bottom lines. These brands are choosing to work with creative agencies and consultants who understand the intrinsic role storytelling plays in human nature, and how what we consume speaks directly to the life story we project for ourselves. Here, we'll be looking at examples of branded storytelling, discussing their underlying strategy, creative processes, and methods for measuring results. When many of us speak about transmedia experiences, we speak in terms of creating our own world. But museums are a treasure trove of nonfiction stories, filled with fascinating characters and powerful events that can be used to create new storyworlds. At this session, you’ll find out how partnerships with museums, universities, and other historical entities offer a unique way to create great transmedia experiences. Evan Jones, Creative Director/Partner, Stitch Media Inc.
With so much content fighting for attention and so many franchises fighting to retain an existing fan base, allowing fans to participate in the storyworld is the key to success & survival. But how is this best achieved and how does it change the author's role and relationship to the audience? How do producers & publishers scope the commitment? This panel argues that to engage fans in active participation, the producer & author need to make audience experience the focal point of the story development process. The panel shares their approach and case studies for achieving attention and retention using participatory storytelling. Transmedia storytelling is evolving radically, allowing producers, writers, content creators and artists in every medium to reach across multiple platforms and connect with more audiences than ever before. In fact, transmedia's future is so bright that the National Endowment for the Humanities Division of Public Programs is launching a new grant category next year to assist producers in all phases in creating digital and transmedia humanities content. But how can you benefit from these new grants? What are the application guidelines and review processes for digital and transmedia projects? Find out in this informative discussion with the NEH's Marc Ruppel. Parcelling up an IP is tricky work and the most protected properties can still be at risk of debate over rights and ownership when further extensions and partners become involved or interested. This session brings insightful perspectives and words of caution and advice from entertainment attorneys and agents who have worked on properties such as Harry Potter and Tarzan and have been named as Variety's 10 Innovators to Watch. This session takes an intriguing look at the new framework for interaction between a new breed of storyteller and their engaged, participation-ready audience. We’ll discuss the spectrum of strategic storytelling approaches from the broadcast model (“here’s the story”), to the “listening” model adopted by storytellers such as Jon Chu, to Tim Kring’s method of welcoming audiences to his storyworld, to Eric Kripke, who adopts the “take it, it’s yours” model. Discover the challenges and opportunities inherent in growing any franchise—even one driven by the number-one film of all time. This up-close-and-personal keynote by Kathy Franklin , Lightstorm Entertainment's head of franchise development, will be an insightful look at how the team behind Avatar is working to expand the film’s global reach and impact. The democratization of tools used to reach people has disrupted the concept of “the audience.” But how does one take advantage of this disruption? People are no longer just passive viewers—they are their own media companies, watching on their own terms and publishing for the world to see. In this special session, storytelling pioneer Lance Weiler places you within an open design process, and together the room will go from an idea to prototype to a collaborative story in less than an hour, demonstrating ways to break with tradition, leverage new tools, and engage increasingly a selective viewership—those formerly known as the audience. As groundbreaking new series debut in fresh and exciting ways and partnerships continue to be forged between platform providers and storytellers... this session looks at multi platform storytelling, windowing models and distribution with a close eye on the functionality of participation gateways, audience viewing behaviors and monetization throughout the entire ecosystem. These thought-leaders will be discussing new ‘alternative’ modes of distribution, explaining how a first window in digital can springboard to international, how that packaging really serves the story world and what different forms content is taking as a result. While spoiler tweets, 2nd-screen apps and check-in badges have been getting all the buzz, they barely scratch the surface of how television can really be social and break the fourth wall. This panel will look at the heart of what makes a social TV experience thrive from a story perspective, going beyond today's 3rd person experience where fans talk with each other about TV programs, and looking at the 2nd person experience where fans interact with TV characters, and the 1st person experience of fan fiction and fan co-creation. We'll discuss the platforms, tools, techniques and best practices every Social TV storyteller needs, with insights from the networks. Hackathons are a common tool for innovation and prototyping in the tech space. But what happens when you introduce storytelling into the hackathon model? The result is an exciting new process for ideation and creation in immersive/cross-platform storytelling. Earlier this year StoryCode debuted the first-ever Story Hackathon to the community and the public. Enthusiastically reviewed by the press, Story Hack: Beta created the context and format for seven brand new cross-platform projects created over 36 hours--faster than any of the creators had ever done before. Founders Aina Abiodun and Mike Knowlton share thoughts and process behind the Story Hack. As creative director at 50 Cent's G Unit and founder of ThisIs50.com, director and technology entrepreneur Chris (Broadway) Romero likes to think not only outside the box, but literally and laterally. The aspiration for content that goes 'viral' is on all producer and agency wish lists but begins with putting the audience/fans first. This session showcases how innovative, fan-centric interactions heighten the likelihood of viral content that is both exciting and rises above the 'noise' of billboard and traditional advertising, whilst also managing and predicting fan expectations. Expect the unexpected when this panel of industry veterans demonstrates the dangers of pitching your projects the wrong ways to the wrong people. Be prepared to interact, perform and work together to turn the tragedy into a victory with Brian Clark, Jan Libby, Steve Peters, Brian Seth Hurst and others in this follow-up to last year’s “Occupy Transmedia” experience. Cynthia Cleveland, CEO, BroadLit, Inc. The romance genre has boomed with the digital age—accessibility and immediacy have heightened the download rate and consumption of women's fiction as ebooks. There was a surge of interesting behaviors around the Fifty Shades of Grey trilogy published earlier this year, which saw women grouping together in social media spaces while men scratched their heads at being left out of the party. The time is ripe for a positive skew and real engagement for female characters and readers within the romance genre. In this StoryWorld-exclusive session, you’ll get a close look at how innovative start up, BroadLit, acquired 100 years of romance titles, while thinking very clearly OUTSIDE the book. Tune in to the red-hot innovations and unexpected trends in expanding the romance genre into games, merchandise, the web, filmed entertainment and beyond. This session will examine the Miracle Mile Paradox (MMP), the first ARG to be produced by Transmedia L.A. MMP was crowd-funded and used several transmedia storytelling practices, including a pervasive live experience at the historic stretch of Wilshire Boulevard in Los Angeles known as "the Miracle Mile" and extending across a variety of online experiences. In this session we’ll examine the structure of the experience, discuss how the experience was produced, and share lessons learned about everything from using various technologies to marketing a project managing a transmedia experience. Transmedia stories spread in a number of ways, often relying on a variety of technologies. This hands-on workshop will cover some familiar and not-so-familiar technologies and how you can implement them on your next transmedia project. Some techniques will help reach your audience, some will help organize your team and some will even make you look like an amazing tech wiz (though they're easy to use!). Bring your laptop! A discussion of the creation of the Starship Valkyrie interactive event, the storyworld that encloses it, and the participant-enthusiasm that keeps it going. Valkyrie is a live-action game/story set in the 22nd century. Participants take the roles of the crew of the Earth Republic Ship Valkyrie and try to work together to accomplish their shared goals. - is effective at making you feel like the crew of a starship. - is exciting and engaging. - has fun props that contribute to the atmosphere. Valkyrie is driven by the camaraderie of the crew, which is what makes it a cooperative game. There are no traitors, and no back-stabbing. Everyone is trying to do their duty and save the Earth Republic. That may lead to well-meaning conflicts, but no betrayal. Thanks to social media and inexpensive, high-quality camera equipment, filmmakers are increasingly choosing to make short "proof of concept" films to lure studios and backers with the benefit of hard numbers up front rather than shopping scripts around. In this session, you'll hear from filmmakers who have found success with a nontraditional production strategy. Since completing the six stages of transmedia grief, GMD Studios’ Brian Clark has been wondering how we shift our discussions from objects and things towards experiences and audiences by following the same chain of inspiration that started with the Enlightenment: phenomenology, the branch of philosophy that studies the nature of experiences. That approach has inspired some of the most important movements of the last two centuries, including Impressionism, the Avant Garde, urban planning, interactive theater, guerilla street art, psychology, sociology and artificial intelligence. Perhaps it is time for the artists of Networked Age to unwrap the gift passed forward from the artists that came before us and start our own movement for phenomenal work. A host of new platforms and behaviors has created exciting possibilities for sharing storyworlds. In this closing session, entertainment industry innovators will discuss how new modes of collaboration, strategy, architecture and strategic robust story will not only extend the scale and scope of your storyworld franchise, but will possibly change the structure, focus and operations of your approach to storytelling. This will be an informal, but moderated, discussion that explores the possibilities for the future of transmedia and multi-platform storytelling and what those at the cutting edge are forecasting.